We continue extracting modules from our build script. On the chopping block in this episode: our browserify runner. 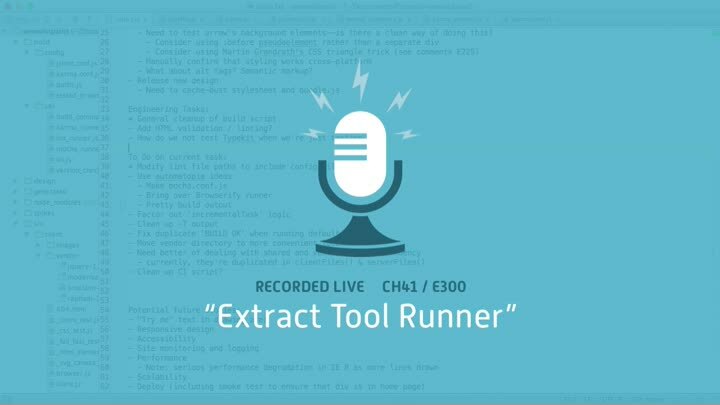 Rather than just using a pre-built runner, we walk through the entire process, from extraction, to parameterization, to troubleshooting.